Kvaser (Sweden) has introduced additional CAN-to-USB modules for harsh environments. They operate in a range from -40 °C to +70 °C. 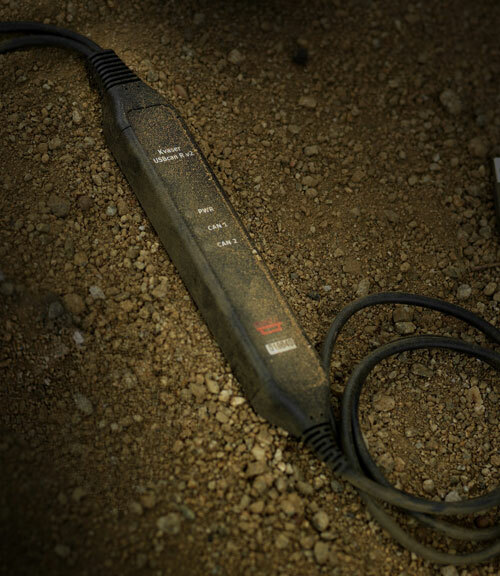 Kvaser has redesigned two products of its rugged family of CAN-to-USB interfaces. The single CAN channel Leaf Light R v2 and dual CAN channel USBcan R v2 feature the same product housings as their fully-featured, more expensive counterparts, the Leaf SemiPro R and the Leaf Professional R. All products within the rugged interface range boast a lightweight, corrosion resistant aluminum alloy housing, with a heavy-duty polyurethane coating that seals the unit and cabling to protect from dust and water ingress. Vibration, shock and drop proof, the product operates over an expanded temperature range from -40 °C to +70 °C. Galvanic isolation features on all models. The Swedish company starts immediately shipping of the released products with free software, free software updates and free support.